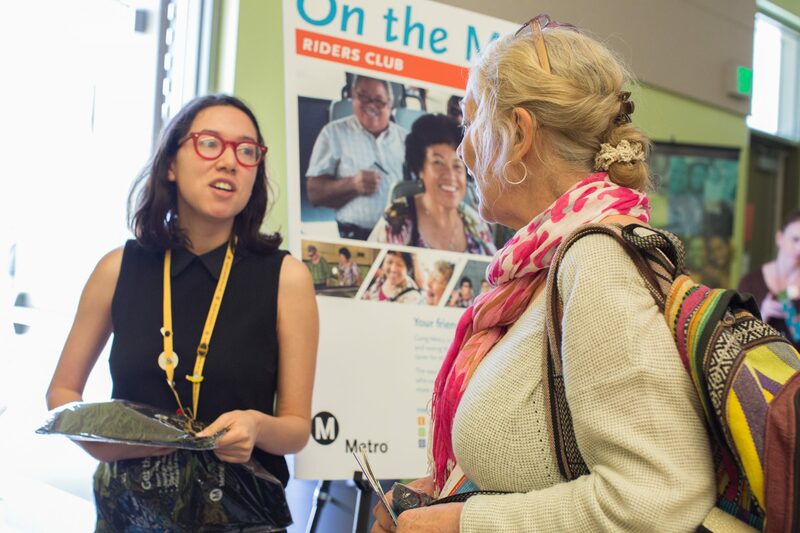 Metro’s On the Move Riders Program is hosting an Older Adult Transportation Pop-Up on Tuesday, April 17, from 10 a.m. to noon at the North Hollywood Recreation Center. The event is designed to provide older adults with information and resources to learn how to safely and independently travel on fixed route transportation. An informational presentation is slated to begin promptly at 10 a.m. with attendees to learn about the benefits of riding transit, fun destinations, safety tips and more. Metro’s Mobile Customer Care Center will be on site during this time to process Senior Reduced Fare TAP Card applications free of charge. Persons 62 and up must present valid ID to apply. There will also be representatives from Metro Security, the accessibility department, LIFE Program, ACCESS Services, and LADOT. Come take advantage of the resources and information that will be provided at this special event. For more information or to RSVP, please contact Jacob Lopez at 213.922.2002 or email LopezJ12@metro.net.